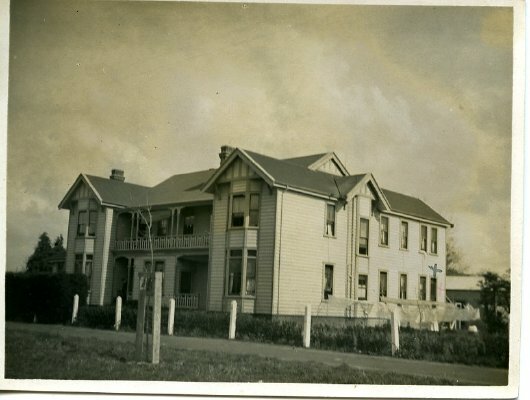 Description Building, possibly a boarding house, named 'Brighton' in Hamilton, where Everard M Stace stayed in 1916. Noted on back of photograph: " My room is marked with a cross. It is the last downstairs room on that side. E.M.S. Taken on Wednesday 6-9-16."